In the middle of the green heart of Austria – Styria, Graz spreads out its wings across the plain at the foot of the Alps. Graz is screaming super modern, but also radiates traditional low-key atmosphere. 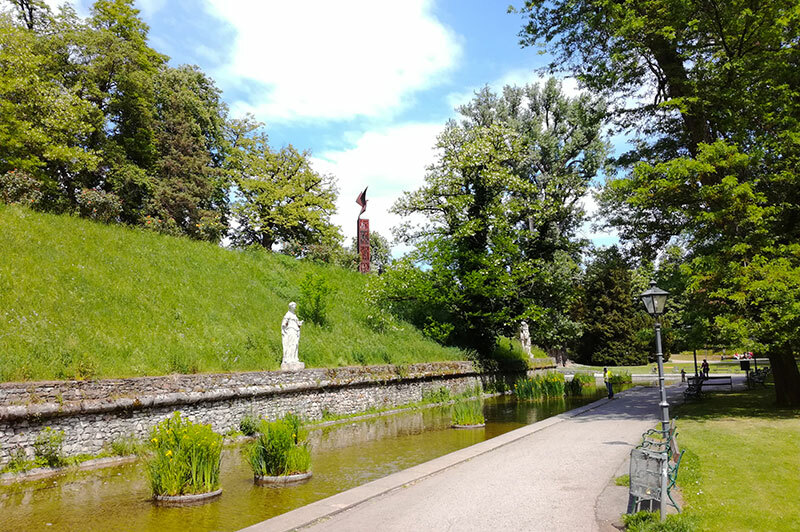 Although Graz is a relatively big city, most of the sights and places of interest for tourists, are either located in the old town or within a short distance from the city center. If you are arriving by car, just put it in a parking garage, as there are a lot of them scattered around the city centre and do your sightseeing by foot. For those who transport, the city has an excellent public transport network. Especially in the city centre, the tram is a good option. 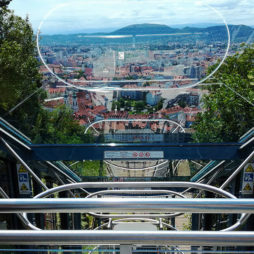 Graz was one of the cultural capital cities in Europe in 2003. 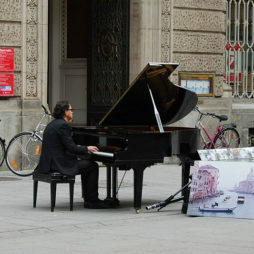 This launched a multitude of projects not only to promote culture, but also to show case the city’s fine architecture. As a result, the river Mur, which flows across the city on its way south, got a new island; Murinsel. Vito Acconci from New York designed a 47-meter-long steel island, shaped like a giant sea snail. This is not the only eye-catching building that you find in the middle of the Old Town. 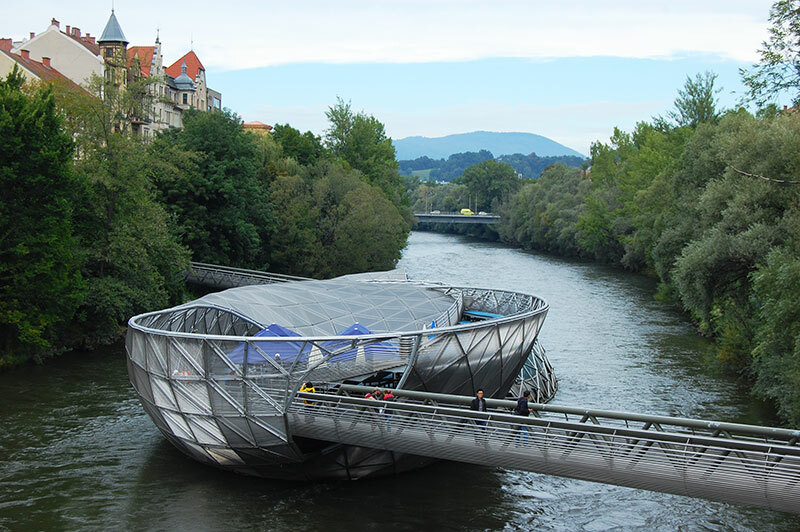 Kunsthaus Graz, shaped like a giant glass and steel bubble, has become an icon and trademark of the city. 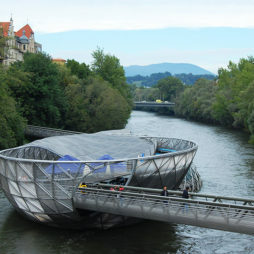 The Kunsthaus Graz houses a museum with Austrian and international contemporary art. 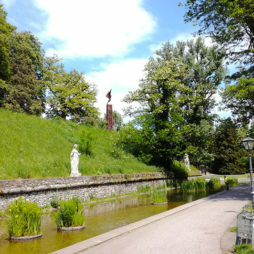 Nevertheless, for those who prefer more traditional or historic sights, Graz also has a lot to offer. A weapons museum may not be something that suits everyone. However, this museum is exceptional, and I would say rather out of the ordinary. 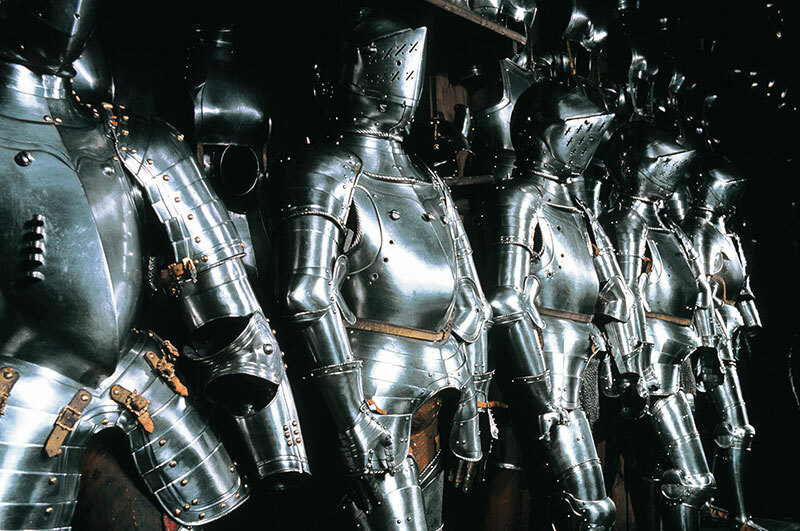 Not only it boasts one of the world’s largest weapons collections with over 32,000 items, in addition, most of the collection of military equipment dates back to the Middle Ages. 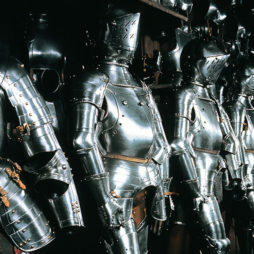 Particularly the collection of over 3000 knight’s armour takes you straight back to the age of the knights of the shining armour. The Landeszeughaus offers a interesting museum for both big and small kids. 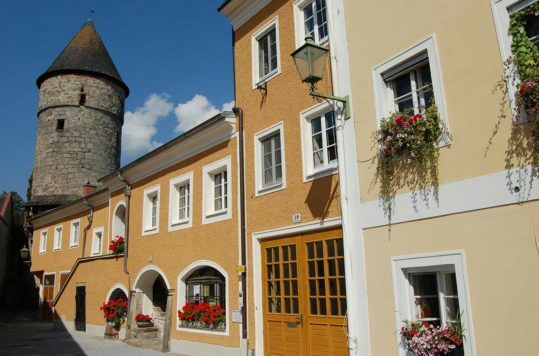 In the heart of Austria’s second largest city, you also find a very well-preserved old town, where many of the buildings date back to the Middle Ages. Nonetheless, it’s primarily the renaissance architecture that characterizes the historic centre of Graz. Take for example, the Landhaus, resembling a Venetian palazzo, with its magnificent Renaissance style archway facing the courtyard. The old town is full of narrow, romantic alleys and streets where you find Italian-style palaces side-by-side with architecture typical of imperial Austria. Very picturesque, but often overlooked by passers-by, are the beautiful inner courtyards. If you see an open gate, walk in and enjoy the sight of these almost well-kept secrets. 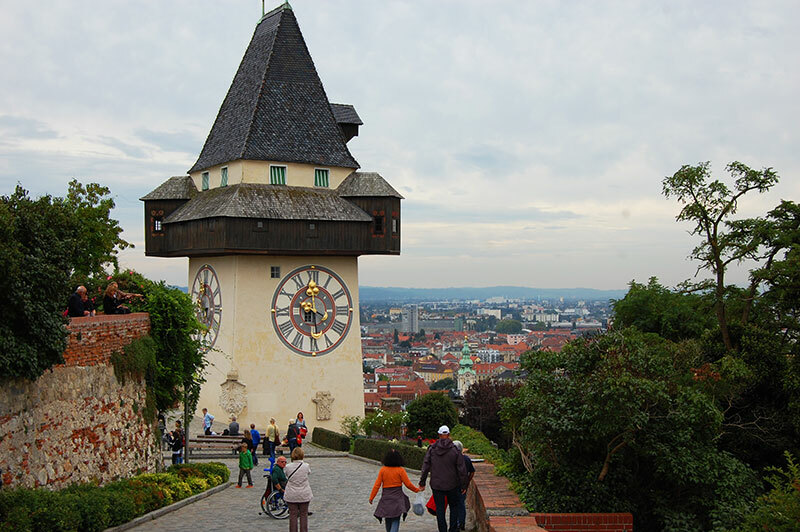 It’s easy to spend 3-4 days exploring Graz. Start with the obvious tourist sights, and then find the subtler, but equally interesting hidden gems. 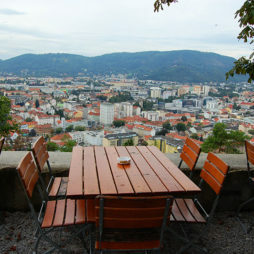 Unlike for example Salzburg, Graz has no castle or fortress that holds its protective wings over the city. Admittedly, there was also a castle here, but it had to demolished by the city as part of the peace agreement with Napoleon, after Austria had lost the war against France in 1809. It was possible to save the bell tower from demolition, and eventually beautiful landscaping was added on the hillside overlooking the city. 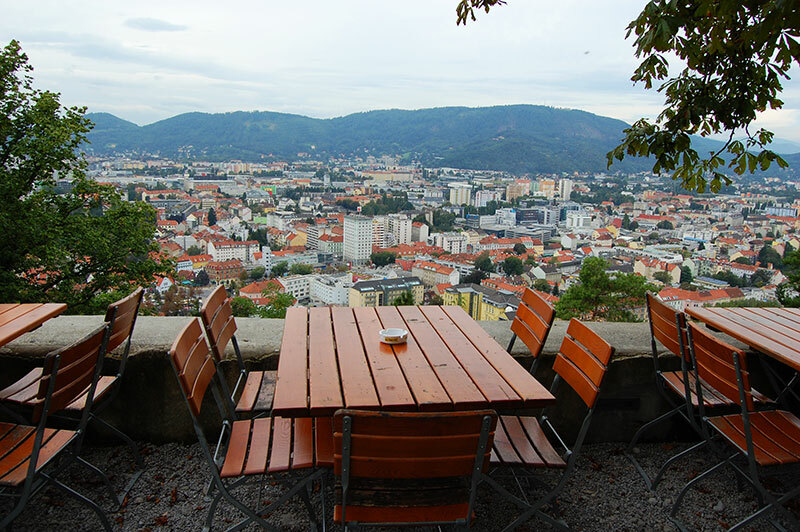 Today, the beautiful Schlossberg is the best place to for a view of the city. 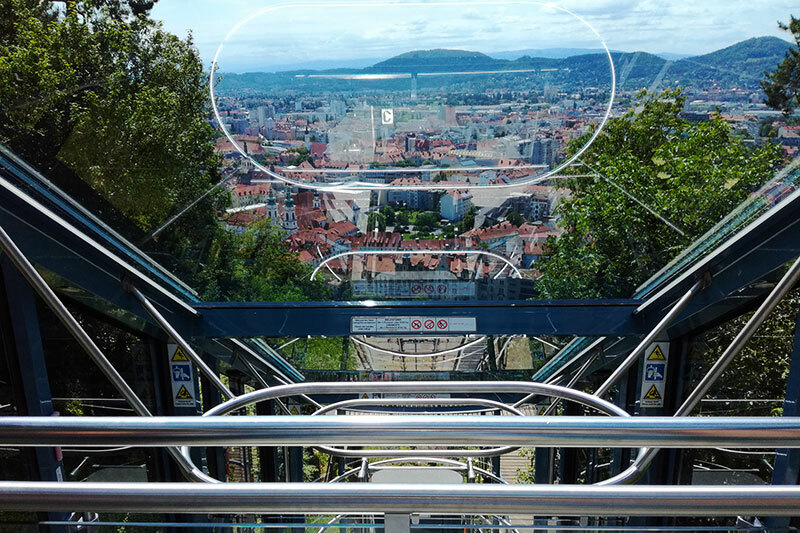 There are four ways to get up and down; 1) 260 steps, 2) an elevator, 3) the Schlossbergbahn and finally you can drive or walk up the Am Fusse des Schlossberg street (at the back of the Schlossberg). 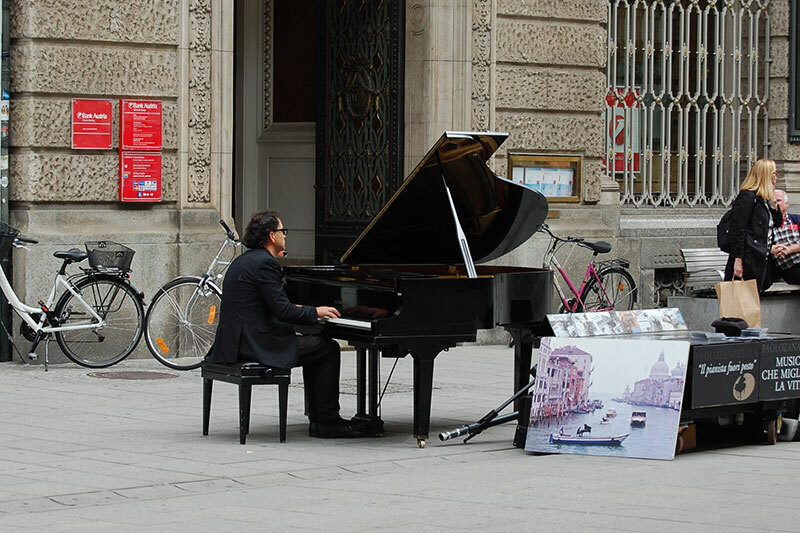 When you are in Graz, don’t spend all your time at museums, but also simply enjoy the street life. Austria’s second largest city is a busy city, where the streets on ordinary days are filled with a colourful mix of tourists, business people and locals. For shopping you will find a variety of shops of various kinds, including Herrengasse, Sackstrasse, Murgasse, Sporgasse and Schmiedgasse. 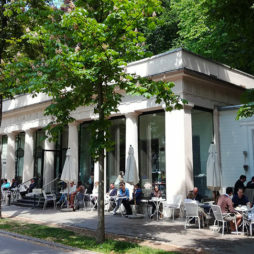 For restaurants, cafes and bars, for example, go to Südtirolerplatz, Kosakkengasse and Jakominiplatz, where they have converged. 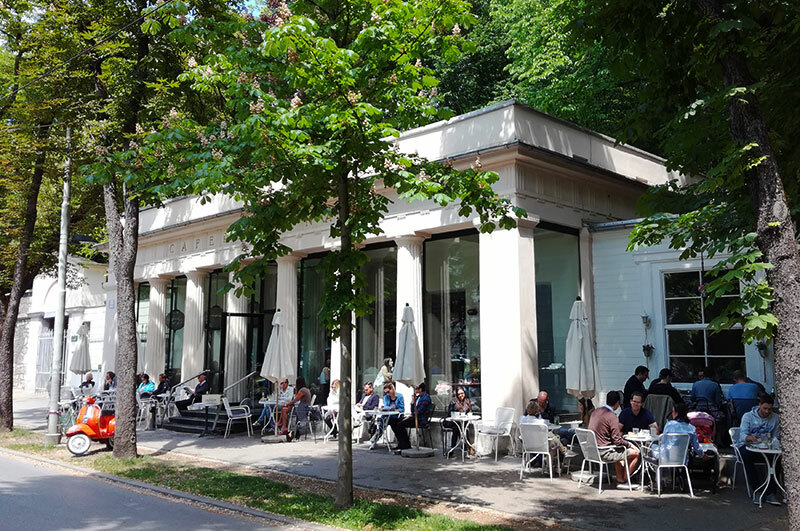 If you just want to relax and unwind, we recommend the Volksgarten, Städtischer Augarten, Stadtpark and Schlossberg, which are beautiful well-kept green areas, where you can always find a calm space. Head off to the nearest Spar or Billa supermarket and get your picnic food for a lunch in the park. Styria’s capital is also Austria’s second largest city with its 280,000 inhabitants. 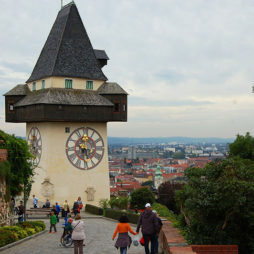 Although the city has long historical roots which has put it’s stamp on the cityscape, with the castle hill and the old town (which is on UNESCO’s world heritage site), Graz is one of Austria’s most youthful city’s. The city boasts a total of 6 universities with a total of 45,000 students. This means that the city has an extensive offer of events and activities catering to young people.